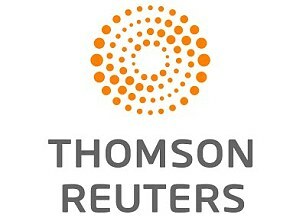 IRISH EYED The trading arm of Thomson Reuters has applied to Ireland for a licence to continue serving clients after Brexit. The business’s derivatives dealing hub, part of a host of operations being bought by private equity firm Blackstone for £12.6billion, will be based in Dublin. No staff are moving abroad. ITALY SELL-OFF Traders have sold Italian government bonds amid fears the country will ask the European Central Bank to write off £219billion of debt. It sets the nation up for a clash with the EU and could land investors with losses. The stock market in Milan fell 1.8 per cent. DOLPHIN SOARS Profits at wealth manager Brewin Dolphin rose to £34.1million in the six months to March, up 20 per cent on a year earlier. It looks after £34.3billion of savers’ money, up 1.5 per cent. The business raised its interim dividend by 3.5 per cent to 4.4p. SHARES UP Shares in British software firm Micro Focus rose after it said a drop in sales for the six months to April 30 was not likely to reach the 9 per cent to 12 per cent predicted. The FTSE 100 company warned on profits in March because of difficulties with its controversial £6.6billion takeover of Hewlett Packard Enterprise’s software business. VIDEO BONANZA Chinese technology giant Tencent has reported a 61 per cent rise in profits, fuelled by its booming video games arm. It yesterday revealed sales of £8.6billion and profits of £2.7billion for the first quarter – both higher than analysts predicted. Its most successful gaming titles include Honor Of Kings, PlayerUnknown’s Battlegrounds and Fortnite. BARRELS BOOM North Sea-focused Premier Oil said its Catcher field has produced more than 60,000 barrels per day recently as it ramps up to full speed, six months after work began. It is expected to produce an average of around 85,000 barrels a day. REVENUE RISE Tools and equipment hire firm Speedy Hire says revenue for the year ended March 31 rose 6.4 per cent to £371.6million, with profits up 25 per cent to £18million. SALES DIP Used car sales passed 2m during the first three months of the year, a 4.8 per cent decline compared with the first quarter of 2017, said the Society of Motor Manufacturers and Traders. More than 24,697 electric or hybrid cars found a new owner, 15.9pc up on last year.